Mold, pollen, and other allergens are the unfortunate byproducts of beautiful spring weather. If you suffer from seasonal allergies, duct cleaning services from Guelzow Heating & Air Conditioning Service will ease some of your discomfort. 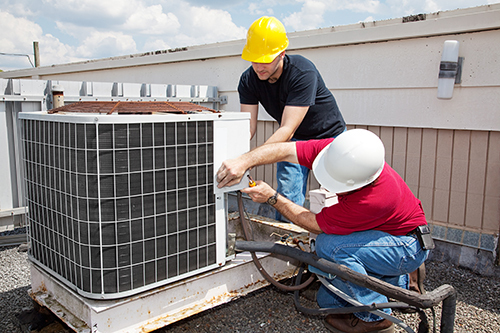 Serving the Wisconsin Rapids area for over 60 years, these friendly AC and heating contractors handle everything from AC repairs and furnace installations to duct cleaning and dehumidifier services. When you want to ensure that your home systems are running efficiently, rely on these professionals for all of your needs. Dust-Free Living Space: Professional duct cleaning services will reduce the amount of dust that circulates through your home. Duct cleaning will prevent dust from gathering on your furniture, bed, and other areas where you spend a significant amount of time, allowing you to breathe cleaner air. Reduction Of Allergens: Apart from dust, air ducts often hold pollutants and toxins, such as pet dander, pollen, mildew, and mold spores. If you struggle with allergies, asthma, or other respiratory issues, professional duct cleaning services will help you experience noticeable relief. Easier Breathing: Air duct cleaning will sanitize the air in your home, thereby making it much easier to breathe. Do a service for your health and wellbeing by hiring the experts to perform air duct cleaning services as soon as possible. For the best AC and heating contractors in the Greater Wisconsin Rapids Area, put your trust in Guelzow Heating & Air Conditioning Service to keep your home systems running smoothly. Give them a call at (715) 423-1086 today to speak with a customer service representative about scheduling regular air duct cleaning, and visit them online to find out more information about their many valuable services.